Scientists have had positive results from a laboratory-based study using a well-known alcohol aversion drug disulfiram, to combat chemotherapy resistance in the most common type of lung cancer, non-small cell lung cancer (NSCLC). 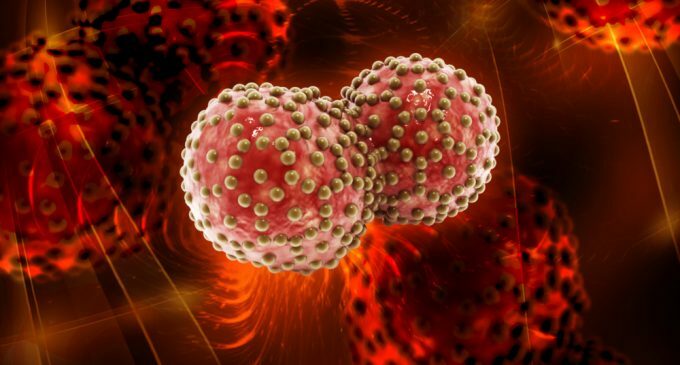 The scientists from the Trinity Translational Medicine Institute at St James’s Hospital Dublin, in collaboration with the Cancer Stem Cell Group, Coombe Hospital, Dublin, found that lung cancer cells that have high levels of ALDH activity, a recently identified marker of cancer stem cells became resistant to chemotherapy. This induces the growth and expansion of a drug-resistant population of lung cancer cells, allowing the cancer cells to survive the effects of treatment. These findings may help explain why a large number of lung cancer patients receiving this type of chemotherapy eventually relapse resulting in progression of their disease. The FDA-approved alcohol aversion drug Disulfiram (Antabuse), which has been used to treat alcohol addiction for over sixty years, works against ALDH by restricting its activity. Upon alcohol consumption, it prevents the body from metabolising alcohol and makes the person feel sick. When it comes to cancer cells, the drug was found to be effective in inhibiting the activity of ALDH, which resulted in decreased tumour cell growth and increased killing of lung cancer stem cells. The research team found that the alcohol aversion drug Disulfiram in combination with chemotherapy was significantly more effective in killing drug-resistant lung cancer stem cells compared to treatment with the chemotherapy alone. This is the field of drug repurposing in oncology and there is now an increasing interest in the use of non-cancer drugs as anti-cancer therapeutics.